You'll meet some of our most familiar and beloved animals in these four books, illustrated with color photos and drawings that contain touchable textures: Cats, Rodents, Dogs, and Birds and Fish. Here you can "touch" a velvety Siamese or a soft guinea pig, a curly-haired poodle or a feathery parrot. 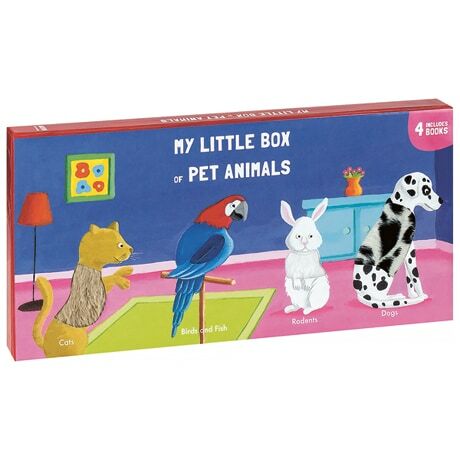 The board books in this set for prereaders are presented in a colorful, sturdy laminated box with a magnetic flap closure.